Since 2012 with a perfect performance in Mud, Matthew McConaughey has been red-hot, an incendiary actor lighting a fire under every film that’s lucky enough to cast him. And that’s saying a lot, especially considering the project choices early in his career, his eye-candy status, his penchant for rom/coms. But that’s all changed, a nexus of great films beginning in 2012, with no end in sight. Mud, Dallas Buyers Club, The Wolf of Wall Street, Interstellar; perhaps the man just needed to age a bit, to grow into his talent, to grasp the reins of Hollywood and gallop off in his own direction. There’s much to look forward to in the future as well, with roles in Gold and The Dark Tower, two films that should continue the trend. 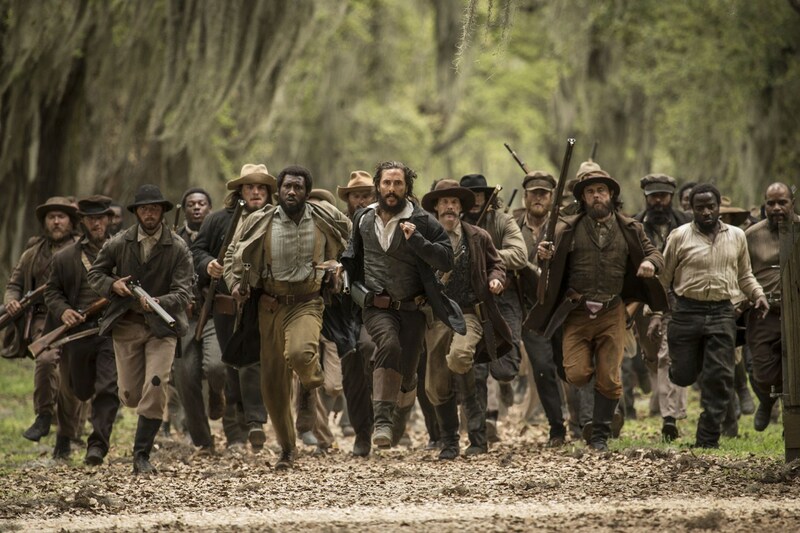 Meanwhile, we take a small step back, not in acting prowess, which McConaughey had on full display here, but in finite selection, Free State of Jones being a movie that he probably should have let slip past. During the Civil War, the poor of the South were called upon to die for the rights of that region, including the right to own slaves. Small detail though; most Southerners didn’t own slaves, most were farmers, digging the land themselves, scraping a living out of the dirt. When Mississippi native Newton Knight became tired of watching his friends & family die for rich white men, he and a group of runaway soldiers & slaves returned to their homes. The Home Guard & local Tax Collectors were too busy taking more than their fair share from area farms to hunt down a bunch of rag-tag ex-infantry in the swamp, so Knight’s company grew in size & in anger, until there were enough men to declare Jones County a free zone, a nation pledged to no government. Over the passing years, relations between white & black, free & enslaved, privileged & poor, would wear thin, making that area of Mississippi a microcosm of America, a place changing slowly & violently, but changing nonetheless. 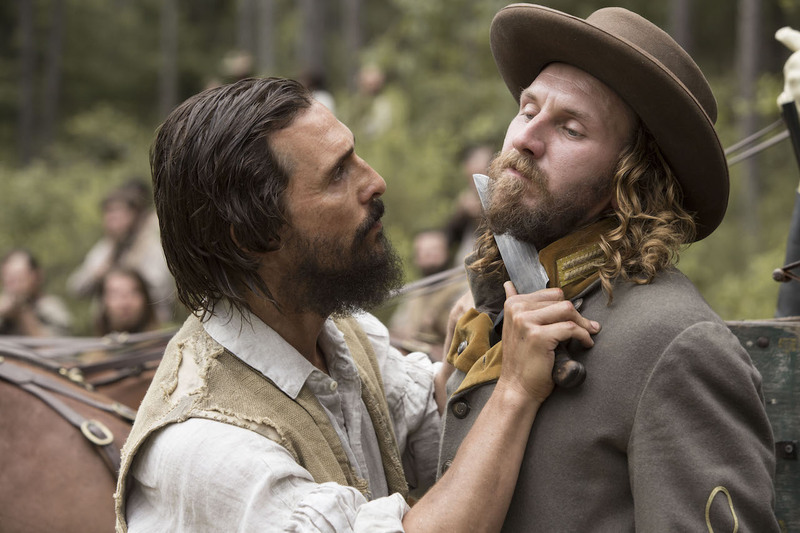 Matthew McConaughey was not the problem with Free State of Jones. He was on point from his very first scene and literally carried the movie’s dying body from place to swampy place trying to keep it alive. The fact that he failed shouldn’t be cause for blame; it was always going to die. No, McConaughey pulled out all the stops to play Newton Knight, even adopting some disgusting teeth, greasy hair, and patchy beard, the epitome of the poor in that time & place, a raggedy hero for us to believe in when times got tough. He brought a certain sad nobility to the screen, offering us a proud man who understood he was human, who saw death everywhere he turned but refused to back down. McConaughey continues his current streak of solid performances, and I won’t even judge him negatively for the upcoming Sea of Trees which, by all early accounts, is just plain awful. Director Gary Ross, being a consummate professional, should have seen this hiccup coming. After all, the guy wrote Big, Mr. Baseball, Dave, Lassie, Pleasantville, Seabiscuit, The Tale of Despereaux, the first Hunger Games, directing many of those as well; he knows Hollywood, he knows audiences, he should know what to do. But the simplest possibly aspect of this film went wrong very early and it’s something that we won’t forgive; bad pace. Free State was a bore after the first ten minutes, a slow drudgery of a movie that moved along at a snail’s pace, never seeming to realize or care that audiences might be falling asleep. 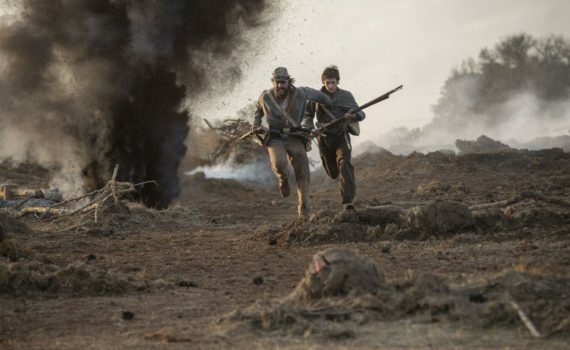 A little bit of so-called action wasn’t enough to wake the film up, and movie-goers will be shocked to find out that this is barely a Civil War movie at all, but rather a social commentary flick parading itself in its trailer as something completely different. More a dramatized history lesson than an actual drama, there are echoes of Braveheart in the background and in a few scenes, but not enough in either to save what quickly became a time-jumping morality tale that had little to do with war, much to do with civil rights. I’d much rather watch Selma, The Retrieval, or The Patriot, not an odd combination thereof, and definitely not a film that was attempting to teach me about the difficulties prevalent in the post-war South; I already know and I wasn’t expecting to sit down for a 140 minute lesson plan.